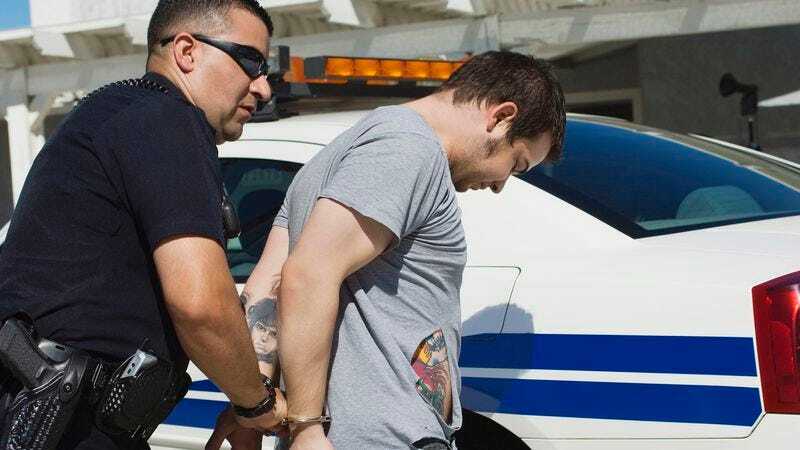 PRINCETON, NJ—According to a study published Wednesday by researchers at Princeton University, Americans’ support for the Bill of Rights is never stronger or more vocal than when attempting to talk their way out of a drunk driving arrest. “Whether citing Fourth Amendment protections against illegal searches and refusing to get out of their vehicle, or repeatedly reminding the officer they have the First Amendment right to say whatever they want, the average citizen’s support for their constitutional freedoms soars immediately upon being pulled over for a suspected DUI,” said the study’s author, Cynthia Vogel, adding that when pushed into the back of a squad car, intoxicated Americans are more than 25 times as likely as regular citizens to loudly and repeatedly reference their Sixth Amendment right to see a lawyer. “We were also intrigued to find that these heavily inebriated Americans interpret just about any use of force as excessive and a violation of their Eighth Amendment rights, often telling the arresting officer that they better watch out or they will be the one going to jail.” Vogel went on to say that, for whatever reason, individuals in such situations almost never reference the Fifth Amendment.